We’ve been delighting customers for 35 years and have been consistently recognised for exceptional customer service and first-class products in numerous surveys. See below for information on the awards and accolades we have received. Over the years, we have been recognised in many surveys and awards, including the British Travel Awards, The Daily Telegraph, The Sunday Times, The Guardian and The Observer, Which? Magazine, Silver Travel Awards, Cruise Critic Editor’s Picks Awards, Travel Weekly and more. These are staggering achievements in Britain’s most prestigious awards, voted for by the travelling public, indicating consistently superb service and quality throughout the entire experience of booking and travelling with Riviera Travel. Thank you to everyone who has voted for us over the years. We couldn’t have done it without the continued support of our valued customers. We are proud to currently hold the Which? 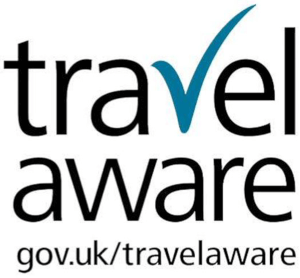 Recommended Provider status for River Cruises (awarded February 2019) and Which? Recommended Provider status for Escorted Tour Providers (awarded June 2018). We have held their prestigious Recommended Provider status for 7 years, and in 2017 we were their highest-ranked river cruise operator, rated five stars for customer service. Take a look at Which’s review of river cruising with Riviera Travel here. According to Which?, we achieved a brand score of 78% which placed us joint fourth across the full list of 17 cruise lines surveyed. We were one of only five cruise lines awarded the Which? recommendation. Looking at the survey results in more detail, we were pleased to see a five-star rating across most categories. – Take a look at the Riviera Travel Difference to see how we aim to deliver an exceptional experience every time. For a breakdown of the results from the Which? 2017 survey, read our blog post here. If you have already experienced a Riviera Travel holiday, we always welcome feedback from our guests to help us make further improvements. And if you’re looking to book your first holiday with us, then we hope our Which? Recommended Product status reassures you that you’re booking with the very best. Thank you so much to everyone who voted to help us achieve this award. Learn more about our Solo Traveller collection here. We are the winners of Best Escorted Tour Operator in the Times Travel Awards for both 2017 and 2018. 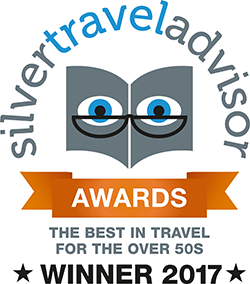 We are the proud winners of both Best City Breaks Operator and Best Escorted Touring Operator (Europe and Long-Haul Tours) in the 2017 Silver Travel Advisor awards. We were also awarded runner up status for Best River Cruise Line. Read all about it here.